Sardoun, a strategically important Democratic nation, is under attack. Enemy forces are encamped just across the Sardounian border. 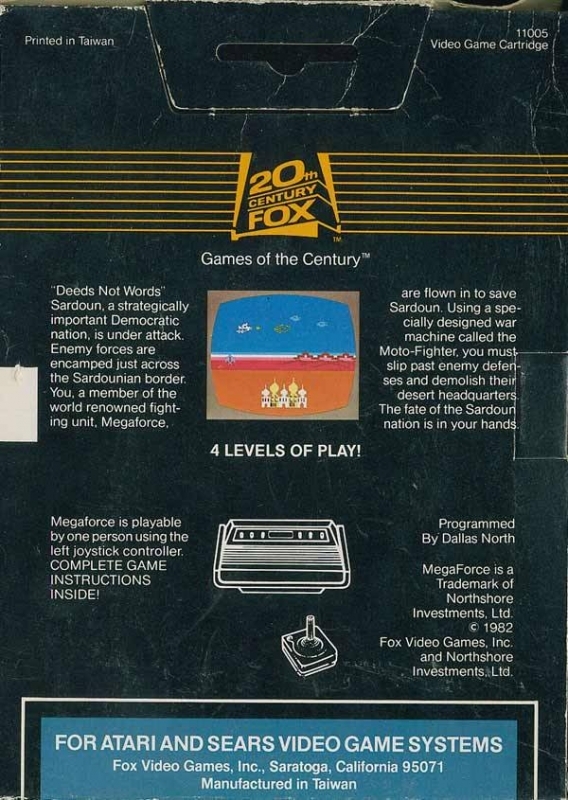 You, a member of the world renowned fighting unit, Megaforce, are flown in to save Sardoun. Using a specially designed war machine called the Moto-Fighter, you must slip past enemy defenses and demolish their desert headquarters. The fate of the Sardoun nation is in your hands!